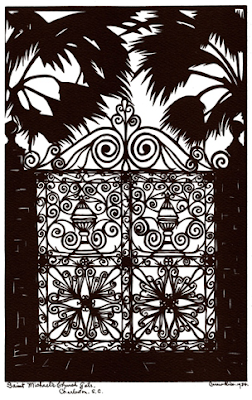 The works of Carew and Clay Rice are cherished treasures in the Lowcountry. 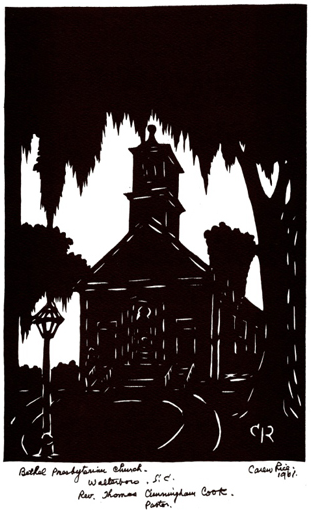 Carew started cutting silhouettes in the early 1900's, recreating scenes from around the deep south. 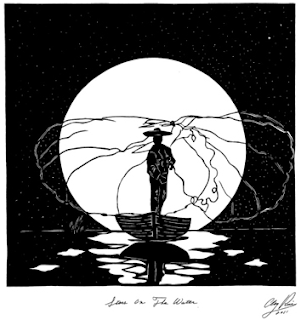 He passed this trait down to his grandson who now travels the country carrying on the art his grandfather taught him when he was just 6 years old. 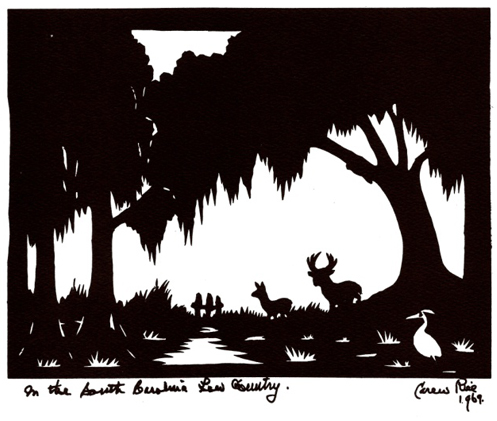 These intricate silhouettes, created by Carew in the 60's, are scenes that can still be found in Lowcountry today. 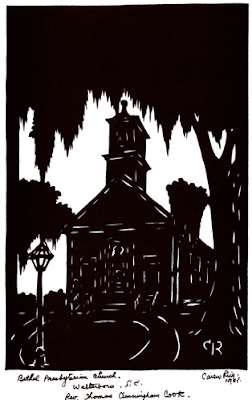 The Bethel Presbyterian Church is easily spotted on a ride through downtown Walterboro; and the wrought iron cemetery gate at St. Michael's Episcopal Church is still in use and is likely one of the oldest pieces of wrought iron Charleston. 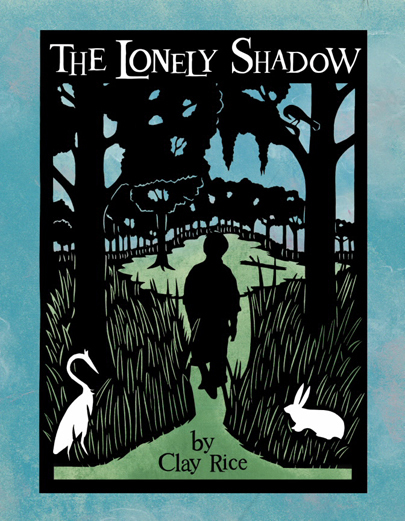 Clay Rice has been cutting silhouettes for over forty years and is known for his successful children's books that feature his work. While traveling the country promoting his books, Clay creates silhouettes on-site for families at his book signings. I would love to catch one of these the next time he's in Charleston. Stars on the Water, featuring a shrimper with a cast net, is my favorite piece. I like that Clay's pieces are a little more wild. 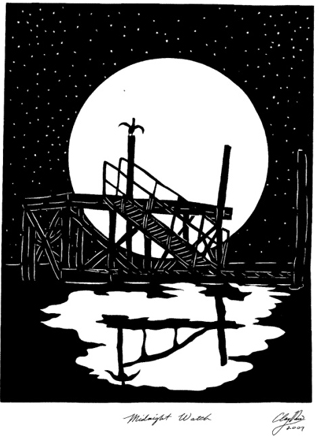 They remind me of the lowcountry that I know, perfectly imperfect and a little rough around the edges.